The year is 1854, and change is in the air throughout India. Within the walls of her grand home in Calcutta, Sarah McCune anxiously awaits the future. 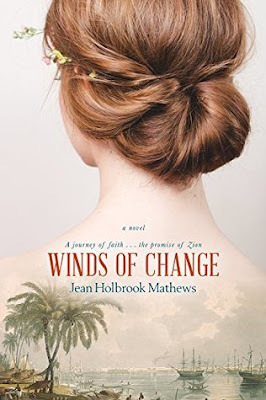 After eighteen months at war, her husband, a sergeant in the Bengal Army of the East India Company, has made an extraordinary proposal: leave all the comforts of their life in Asia for an unknown future in America. As recent converts to The Church of Jesus Christ of Latter-day Saints, Sarah and her husband are drawn to the promise of Zion. So, despite their fears regarding the dangerous voyage before them, they and their four children embark on a journey of faith that will test the limits of their conviction and define generations to come. This breathtaking saga, based on the historical journals of one Latter-day Saint family, invites readers to experience the sacrifices and perils of these early pioneers as they faithfully seek a land of promise. This novel is rich with historical details of the McCune family, their life in India, their journey to join the Saints in Utah, and their new life there. The pace of the story was slowed down by so many details, but I think the meticulous research done by the author will be appreciated by readers who enjoy history. I felt like the way the book was written, I was reading an account of the members of the family instead of experiencing the story through their eyes, which prevented me from becoming emotionally connected to them or invested in the story. There is very little romance, rather, the focus was on information that the author gleaned from journals and accounts of the family members the story is based on.